Serena Williams won her 22nd Grand Slam title on Saturday at Wimbledon, defeating Angelique Kerber 7-5, 6-3 in the final. While all major wins are significant, this one carried a bit more weight because it allowed her to tie Steffi Graf atop the list of most major victories in the Open Era. It was, to put it mildly, a huge deal. However, Serena’s biggest statements of the day might have come off of the court. We already knew that Serena was keeping an eye on what has been happening in the United States this week because of a tweet she sent on Thursday about the death of Philando Castile, but she elaborated on racial tensions in America after defeating Kerber. That is something that I think is of great concern, because it will be devastating. They’re very good kids. I don’t think that the answer is to continue to shoot our young black men in the United States. It’s just unfortunate. Or just black people in general. Also, obviously, violence is not the answer of solving it. The shooting in Dallas was very sad. No one deserves to lose their life, doesn’t matter what color they are, where they’re from. We’re all human. We have to learn that we have to love one another. It’s going to take a lot of education and a lot of work, I think, to get to that point. But I think, in general, the entire situation is extremely sad, especially for someone like me. It’s something that is very painful to see happening. Williams sisters win 6th Wimbledon doubles title. 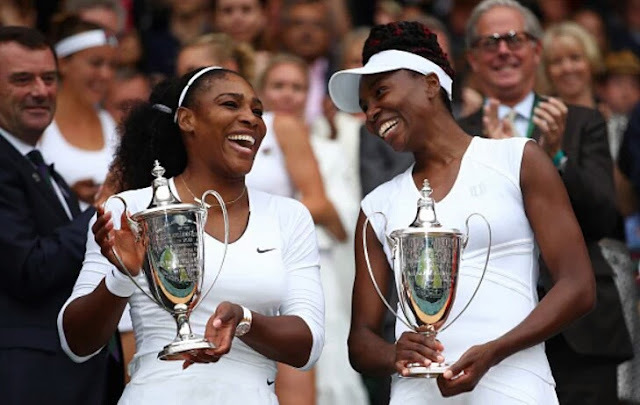 Serena and Venus Williams won their sixth Wimbledon doubles championship and 14th Grand Slam title as a pair, defeating fifth-seeded Timea Babos of Hungary and Yaroslava Shvedova of Kazakhstan 6-3, 6-4. 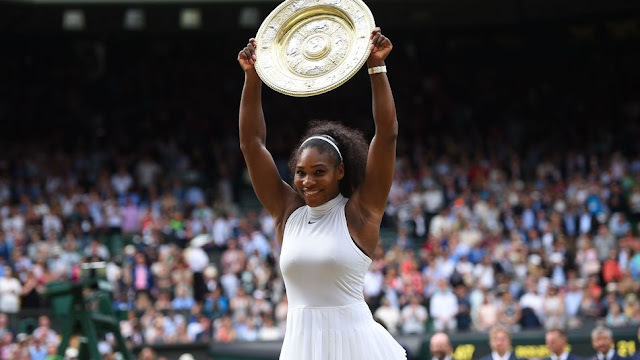 Serena wins, catches Graf with Slam title No. 22. 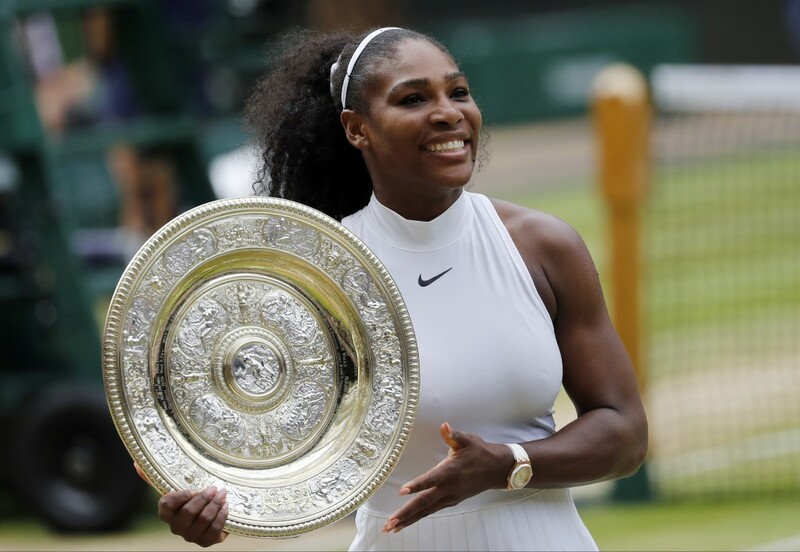 Serena Williams captured her seventh career Wimbledon singles championship, tying Steffi Graf's Open era record with her 22nd Grand Slam title. Serena heads home from the All England Club with two trophies: The doubles final started a little more than 3 hours after she beat Angelique Kerber for the singles championship Saturday. The Williams sisters also won the doubles title at Wimbledon in 2000, 2002, 2008, 2009 and 2012, and each time, one of them also won the singles championship.